Grammy award-winning singer Mary J. Blige and the beauty brand Carol’s Daughter have partnered with HSN to debut the fragrance My Life, the home shopping network announced Friday. My Life is the first fragrance to be launched exclusively through a home shopping channel, according to HSN. The new fragrance will be introduced via a multi-platform campaign that will use all of HSN’s marketing channels, including television, online, mobile, print advertising, public relations, events and direct mail. The fragrance is a first from Blige and the first celebrity fragrance to be developed by Carol’s Daughter. Steve Stoute, Chairman & Lead Investor of Carol’s Daughter, played a pivotal role in creating the unique partnership between Blige and HSN for thelaunch. “My life is my journey and I’ve always shared it through my music,” Blige said in a statement, “I can’t wait to share my story with millions of women through HSN. Working with Carol’s Daughter on the fragrance has been an amazing experience that I will forever cherish." 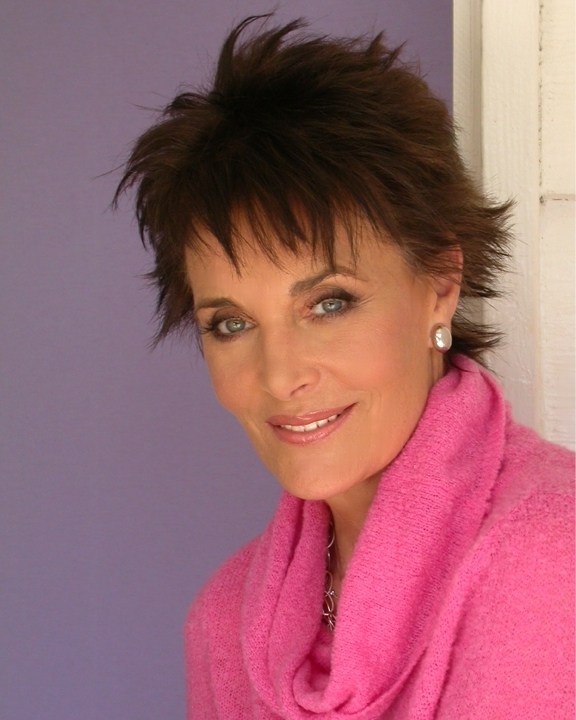 A portion of the proceeds of My Life will benefit the Foundation for the Advancement of Women Now (FFAWN). FFAWN was created by Blige and Stoute to help women gain the confidence and skills they need to pursue and realize their goals and dreams. HSN’s multi-platform marketing campaign will target a broad consumer base, including Blige’s fans, as well as new and existing HSN Carol’s Daughter customers. 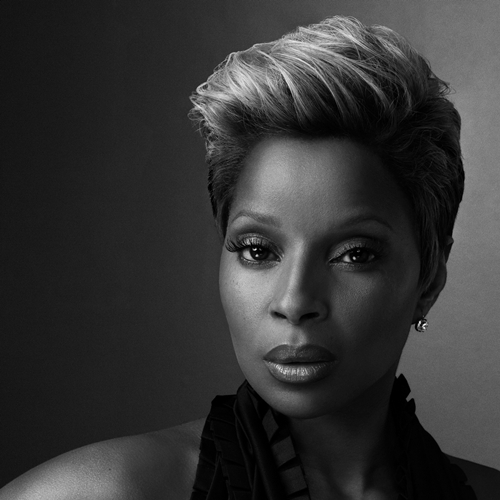 Video segments called Life Chapters will capture various facets of Blige’s life story, including her philanthropic, music, and beauty projects. The segments will be seeded online, on HSN and through social media such as Facebook and Twitter. Life Chapters will be used to bring the My Life story to life at the upcoming Essence Music Festival in New Orleans July Fourth weekend. HSN, a festival sponsor, will produce an interactive My Life booth where fans can learn about the fragrance, Blige’s journey and charity, and meet the singer. They will also be able to post pictures from the Festival on http://www.hsn.com/maryjblige. Mobile marketing will be instrumental in the launch. Prior to each of the festival's three headlining concerts, HSN will air a newly created spot directing thousands of concertgoers to an exclusive mobile landing page at http://www.hsn.com where they can reserve their order of the My Life fragrance and sign up for tune-in alerts and email reminders. This special online experience will only be available for a limited time to Festival concertgoers. My Life is inspired by Blige's life experiences outlined in her most personal work of art — her album. The fragrance is a lyrical composition of florals, fruit and wood understones. It embodies her persona through feminine, beautiful and sensual notes. The premiere is strategically scheduled on July 31 during the finale of HSN's popular month-long birthday celebration. The My Life HSN "Today's Special" will include a 1.7 eau de parfum and a limited edition gold clutch. Future items include a shower cream, body lotion, and eau de parfum rollerpen. ShopNBC vendor and actress Suzanne Somers is contemplating getting into the wine business. Somers, who left HSN after more than a dozen years and went to ShopNBC last fall, sent an e-mail out Friday to those who subscribe to her electronic newsletter. Somers, a controversial best-selling author, asked for customer feedback about her starting to sell wine from a small vineyard she discovered in Napa Valley. “As you know, I am constantly reviewing products. I insist on high-quality items and today I am writing to you with my first request for honest feedback,” Somers wrote. The blonde is or has sold clothing, health supplements, diet foods, exercise equipment, makeup, skin care products, shoes and jewelry, so maybe wine isn’t such a stretch. QVC Thursday quickly put the kibosh on an icky allegation, made on one of its online forums, that the home shopping network was reselling used makeup. “It is QVC’s policy to destroy cosmetics and skin care products that have been returned to us,” QVC spokeswoman Erin Mulholland said in a statement. The flap was ridiculous, based on a QVC forum posting that was obviously joking. “Just a warning before you go buying any beauty products from qvc!,” it said. “You may get one that was already used ! That got the ball rolling, as another poster claimed she had gotten Laura Geller blush that had already been used. Those unsubstantiated charges got the QVC forum posters frantic. Somehow the beauty and gossip blogs got hold of it, with TheFrisky.com breaking the news. Needless to say most QVC customers were not happy with the notion that the home shopping channel was selling them makeup others had used and returned. That would not be very sanitary, would it? If there’s anything we love more than good cheesecake, it’s red velvet cake, which we’ve only been turned on to recently. Well, HSN is bringing us those two favorites in one package — one cake — when it debuts goods from The Cheesecake Factory restaurant chain on Mother’s Day, May 9. The red velvet cheesecake, which has 12 slices, sells for a ridiculous $50. 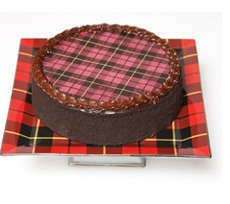 That even more expensive than the plaid Junior’s cheesecake, designed by Isaaz Mizrahi, that QVC sells for $44. But we’re tempted by the red velvet-cheesecake combo. Isaac Mizrahi must be getting paid a pretty penny by QVC. The curly-topped fashion designer, who does a collection ranging from clothes to housewares for the home shopping network, has been checking out new digs. And they are none too shabby. Mizrahi recently visited a penthouse duplex in Greenwich Village that’s got a $5.95 million pricetag, The New York Post reported Thursday in its real estate section. The humble abode at 39 Fifth Ave. has three bedrooms, two bathrooms, a wraparound terrace and “an entrance foyer made of French limestone,” according to the Post. The co-op is owned by Rosalind Resnick, described as an ex-journalist who created an e-marketing firm, and then sold it for $111 milllion. We don’t know many ex-reporters who live in $6 million co-op apartments. But we’d sure like to. And we’d gladly field offers for this website, at far less than the $111 million that Resnick raked in. Jay Leno had a roller-coaster year. Today, April 28, QVC president Mike George and HSN president Mindy Grossman are doing presentations at the Barclay’s Capital Retail Conference in Manhattan. But that’s enough home shopping news for today. Let’s move on to more important stuff: It’s our birthday. A year ago today, it was 92 degrees, much too hot for spring. And truth be known, it was not really the usual joyful celebration, even though nobody loves birthdays more than us. We were still quite devastated from our layoff three months prior. This year things are different. First, it’s freezing out. It was about 40 degrees or cooler this morning. Second, we’ve been forced to do that “reinvention” thing, and it’s working on both a professional and personal level. As astrology buffs, we always keep track of the fellow Taureans who share our birthday. 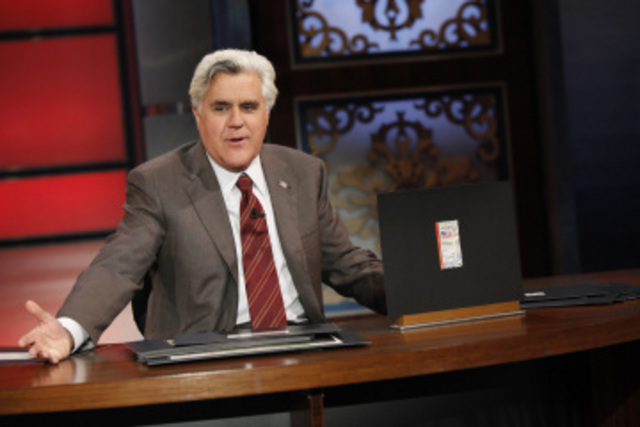 That’s why we kept a close watch on Jay Leno last year. Like us, he was a hard worker and talent who was underappreciated by management. He got screwed, like some other people we know. While we rooted for his 10 p.m. show, we saw he was struggling. He didn’t want to reinvent himself. So when Leno got his late-night slot back (karma at work), we felt no sympathy at all for Conan O’Brien. People complained that Leno was not such a nice guy for displacing O’Brien. Since when does being a nice guy mean being a doormat? Like us, there are two fellow April 28 babies with Latin blood: Penelope Cruz and Jessica Alba. Cruz has had a great year in terms of her career. And she’s with Javier Bardem. Lucky girl. Alba, well, she always seems happy when we see her with photos of her kid. Ann-Margret, who attended Northwestern like us, is still going strong and performing. Jorge Garcia, who plays one of the most beloved characters on “Lost,” is also our birthdate mate. Garcia is Hurley. And the wife of our former co-worker, Eric Smith, was born today. We’ve left the worse for last. One of the most vile and evil dicators ever, Saddam Hussein, was born April 28. Well, there’s always a black sheep in the family. “Happy Birthday: Concentrate on the present and forget the past and you will be able to look forward to the future. The outcome is in your hands — simply stay calm and do what needs to be done. Taking care of both personal and professional business will lead to your victory. As long as you know what your goals are, you will have no trouble attaining them. QVC and Lord & Taylor veteran Scott Garozzo has joined ShopNBC as Director of Jewelry, the home shopping network said Monday. Most recently, Garozzo served as senior vice president of merchandising & product development at SHR & Simmons Jewelry Co. Prior to that, he held merchandising positions in the jewelry category at QVC and Lord & Taylor. Garozzo is being granted inducement stock options as of his first day of employment with ShopNBC, covering the right to purchase 25,000 shares of the company’s common stock. The options will have an exercise price equal to the closing price of the company’s common stock on the date of the grant. You are currently browsing the Homeshoppingista's Blog By Linda Moss blog archives for April, 2010.